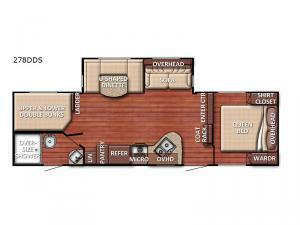 If you enjoy traveling with enough sleeping space to take along the kids or grandkids, and you like to cook your own meals when away from home, this Kingsport travel trailer has you covered! 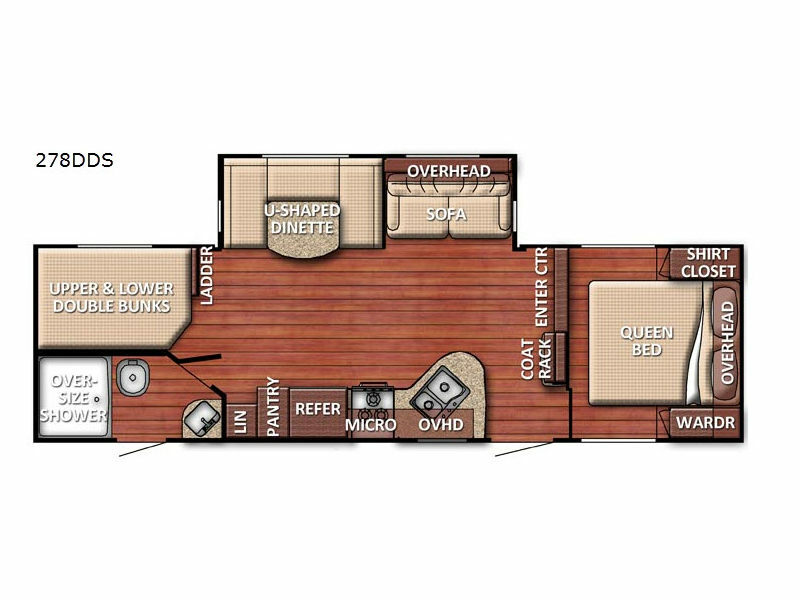 You will also appreciate the U-shaped dinette and sofa when relaxing and dining inside, plus the rear full bathroom includes an over-sized shower and the second entry/exit into the trailer. Having two entries allows you to quickly get inside and outside to both ends of the unit. So why not lay down on the queen bed in the master bedroom or make your favorite meal after riding your bikes around the campsites, the choice is yours! 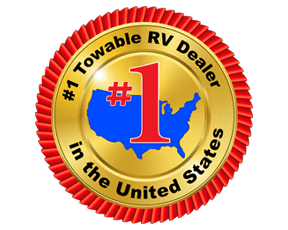 The Gulf Stream Kingsport travel trailers include Gulf Stream's time-honored and camper-proven Uni-Body construction, a three year structural warranty, and extensive storage space throughout. You will surely enjoy the large picture windows allowing more natural light inside, the quality and style of the solid wood cabinet doors and drawers plus the scald and stain-resistant laminated countertops, and all of the Supreme Value package features that are required and included in each model. Choose your favorite floorplan and start making memories tomorrow!